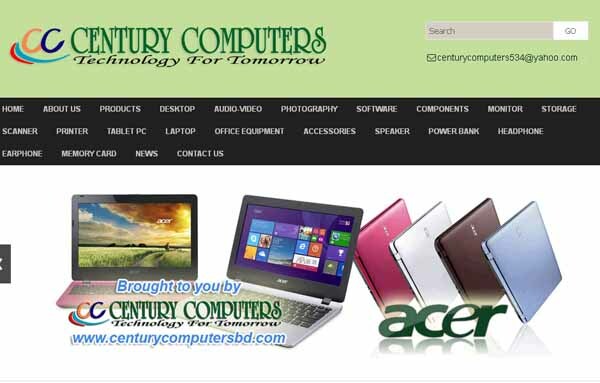 Century Computers is a leading Information Technology (IT) solutions company. Since long, begins IT business from its registered office NEW ELEPHANT ROAD. Century Computers tries expanding business at various area of client’s requirement for provide superior service. Our skilled professionals are working full time in the company. We are dealers of Laptops, Desktop Computers, Printer, UPS, IPS, Networking Peripherals and all types of computer related accessories. We are authorized to sell top of the line items as per client requirement.